The other day I saw a video shared at Facebook about the luxurious airplane of American presidential candidate Mr Trump - it was a feat of technology, innovation and comfort. But that was for the filthy rich people of the world. Today I came across an equally luxurious platform - this time a bus with all the luxuries and comforts one can ever dream of. 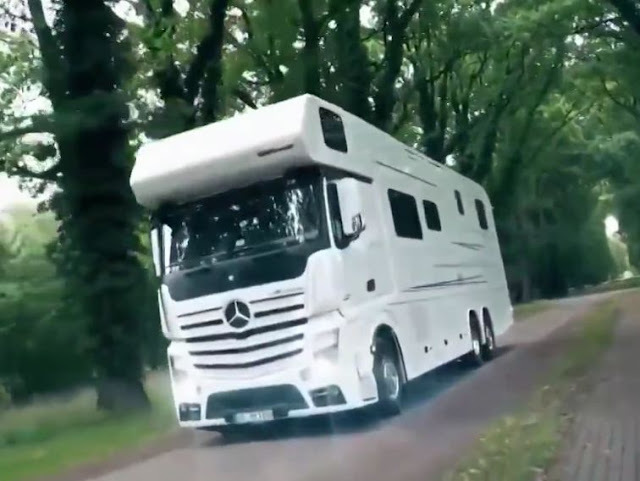 For travelers with a heavy pocket, nothing can be a better option than this huge bus that can take you around the world as if you are in a moving home.